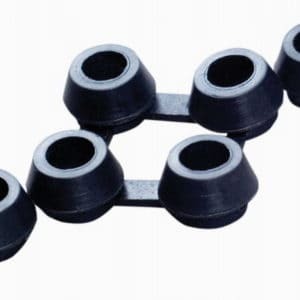 Metal securing U pins for ground stabilisation mesh (M9) (pack of 100). 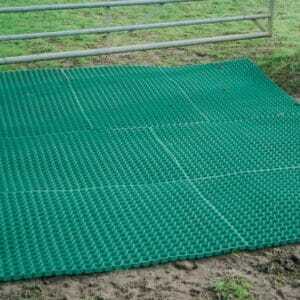 The U pins hold the mesh securely in place, whether it is a temporary or permanent installation. 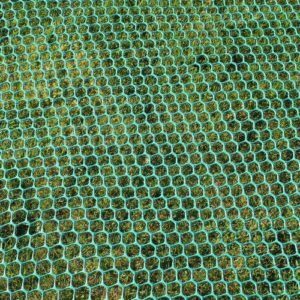 If it is a permanent installation with honeycomb mats on top of the mesh, then the pins can bind the mats to the mesh by being driven through both mats and mesh in a single action, ensuring neither becomes displace until grass has grown to bind everything naturally. 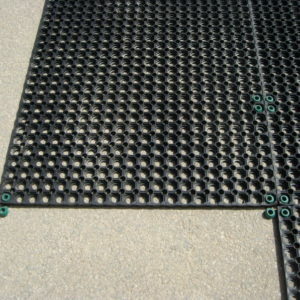 They are also used when honeycomb mats are laid on unreceptive, stony, sloping surfaces.